Not all Pokemon are created equal. With over 720 of these little guys, some of them are obviously more useful in competitive battling than others. But that doesn’t stop the remaining, less useful Pokemon from trying. 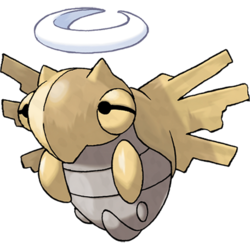 Take for instance my favorite Pokemon, Shedinja, a little ghost/bug type that’s a gimmicky, all or nothing kind of Pokemon that I’m pretty sure represents the spirit of the franchise better than any Legendary or Mythical out there. I wrote an article about why on Kulture Shocked. Gimmicks have a funny place in the competitive scene of any game; you either love them or hate them. But to me, gimmicks will always hold a special place in my heart as a little piece of the game that may or may not be an objectively good aspect, but will always result in memories.